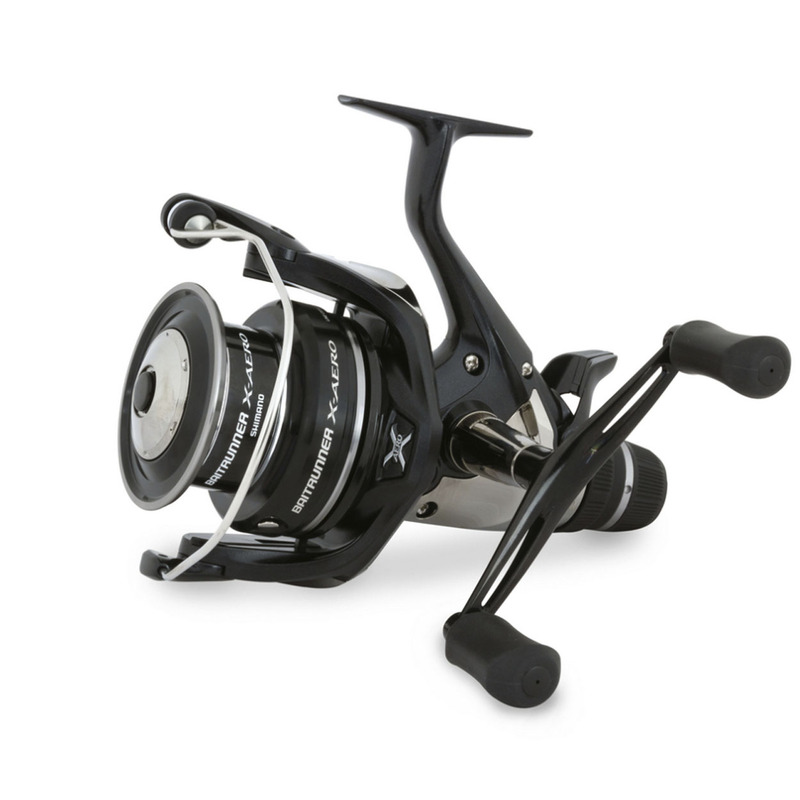 The new Baitrunner X Aero combines the benefits and convenience of a traditional Baitrunner reel with the casting performance rivalling that of a compact Big Pit reel. This outstanding casting performance is achieved by the use of an oversized Aero Concept spool which is noticeably larger in diameter than a normal sized spool. The Baitrunner X Aero also uses Aero Wrap II (Shimano's top line lay system) and 2-speed oscillation for almost perfect spool line management. Another advantage of the large diameter spool is that one turn of the handle retrieves nearly 1 metre of line making retrieving from distance faster. To satisfy modern anglers thinking both the 8000 and 10000 sized reels now have a single handle which generates more winding power than the double handle which is still fitted to the smaller 6000 model. The hybrid body of the Baitrunner X Aero has a black satin finish and the line clip on the XGT-7 rotor is line friendly to prevent line damage. For more than 20 years the Shimano Baitrunner reel has been the most popular specimen reel available, trusted by millions of anglers throughout Europe. Now, with the addition of the Aero Concept spool, a single handle in the larger sizes and a satin black finish, it is set to continue to be the anglers favourite for many years.